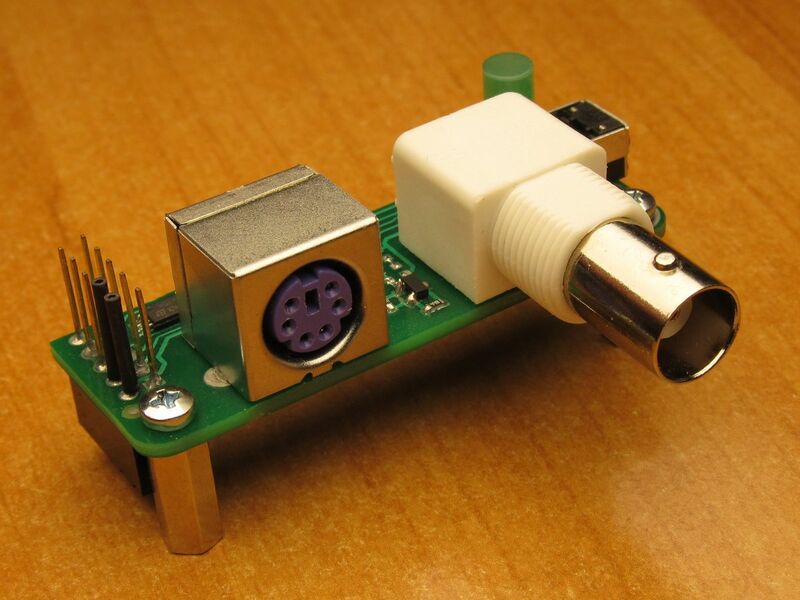 The HomeLab-pH revision 1.1 is a circuit board intended for pH and ORP measurements. Companion software with visual interface shows pH to the user, logs the measured data and calibrates the board. Access of the measured data at the OS console. The HomeLab-pH board lacks a processor, so it has to be connected to an external CPU board to do the calculations. 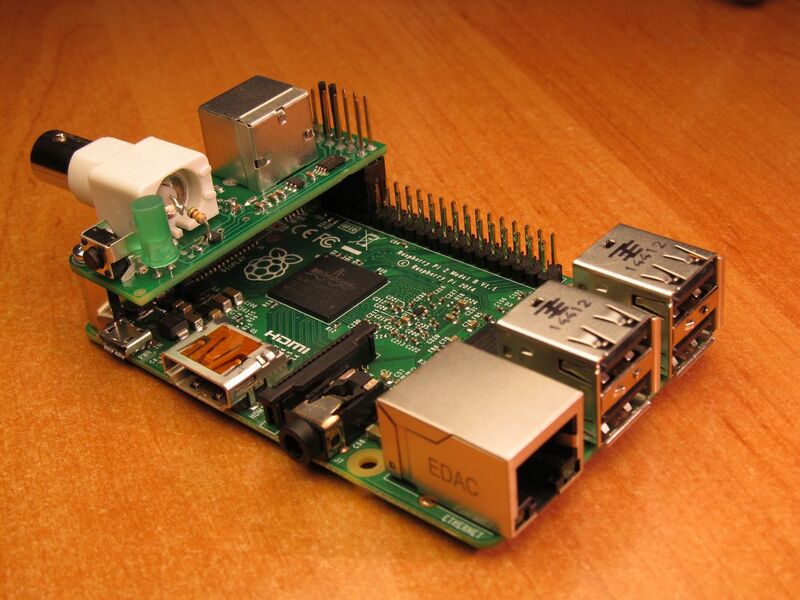 Here we will show how to use HomeLab-pH as an expansion board on top of Raspberry Pi (RPi) or a compatible mini-computer. You can download the software used to read and control the pH meter. 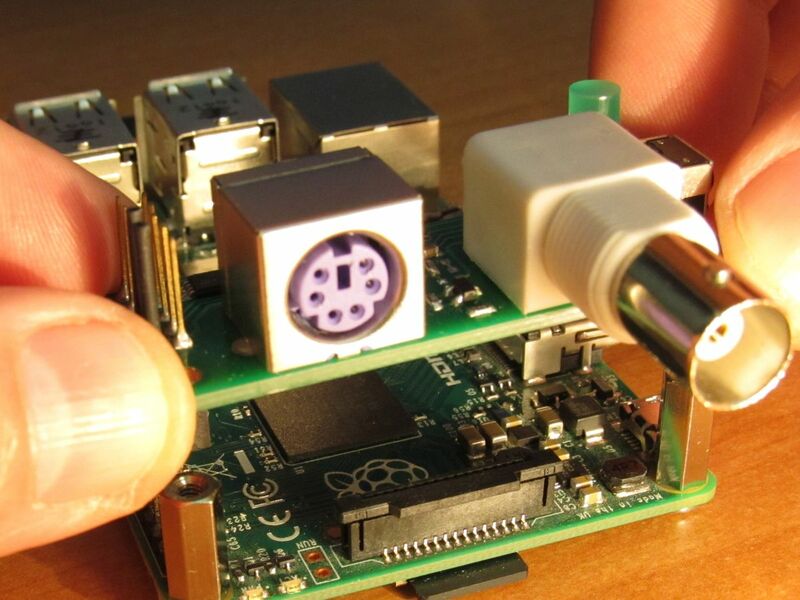 Of course, firstly you have to put the board on top the Raspberry Pi. See the mounting instructions. 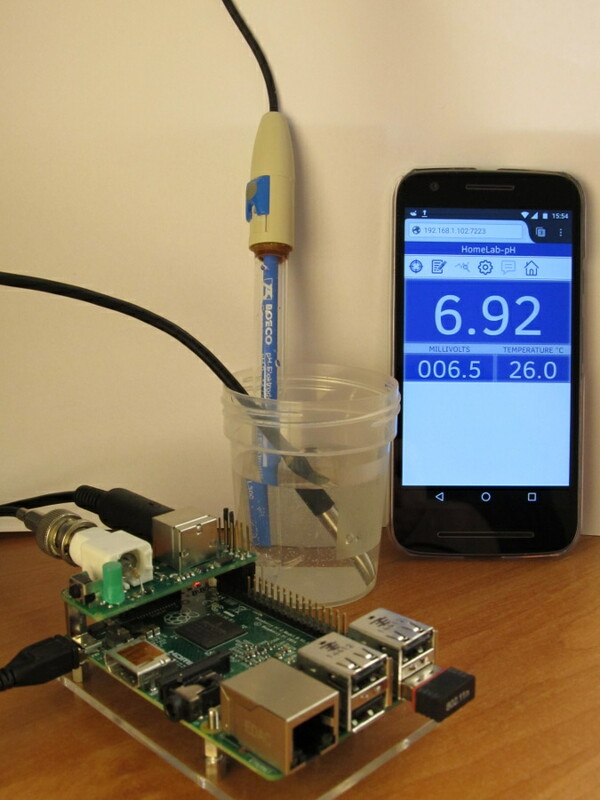 To do pH measurements a combination pH-electrode and calibrating buffers have to be available in addition to a RPi computer. 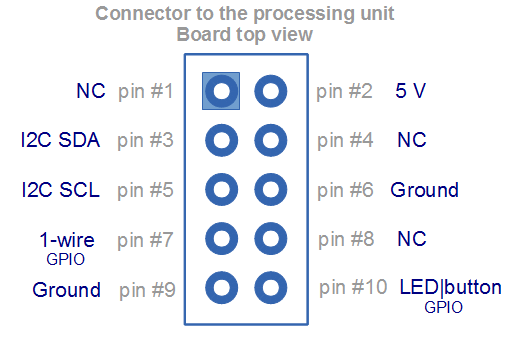 If you intend integration with a different processing board, see the more technical description of the board capabilities. 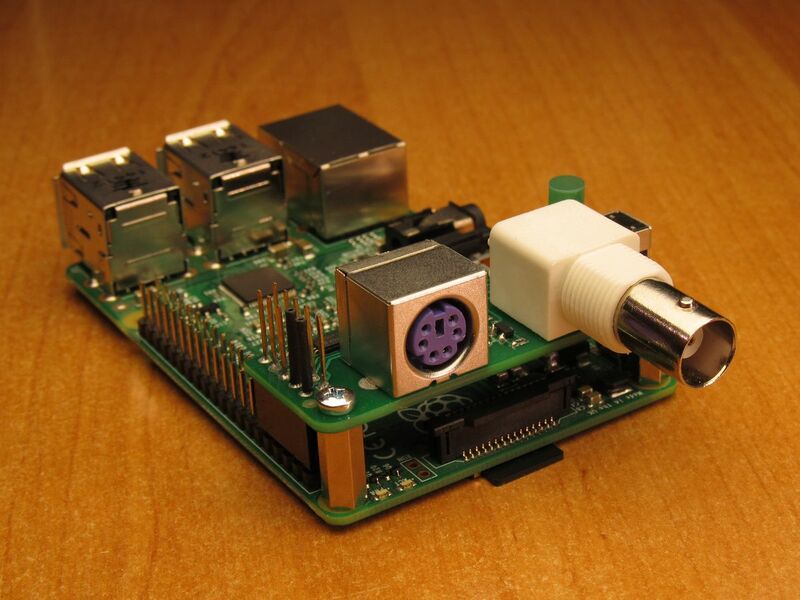 This is a specification of board revision 1.1. * Note: When using a good meter, as HomeLab-pH is, the inaccuracy of pH measurements will then be mainly affected by three factors: the quality of the pH-electrode, the precision of the calibration and the temperature difference between the measured sample and the calibration buffers. Here a general value for inaccuracy is given. It refers to measurements made with a good quality electrode, calibrated by a standard 2-point procedure. Also, the buffers inaccuracy is assumed to be not greater than 0.02 pH units and their temperature difference with the sample to be less than 2.5°C. 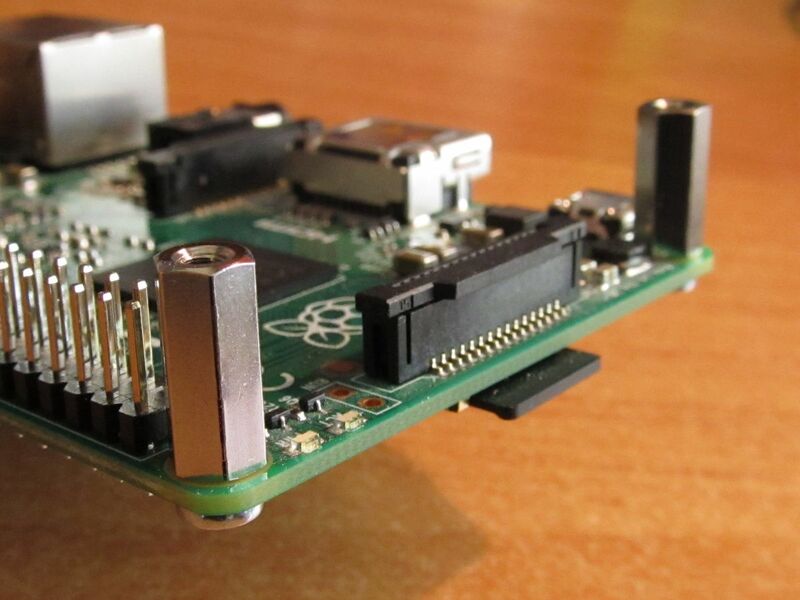 CAUTIONAvoid to mount or dismount the board when the RPi is powered. You are risking damaging the HomeLab-pH board. 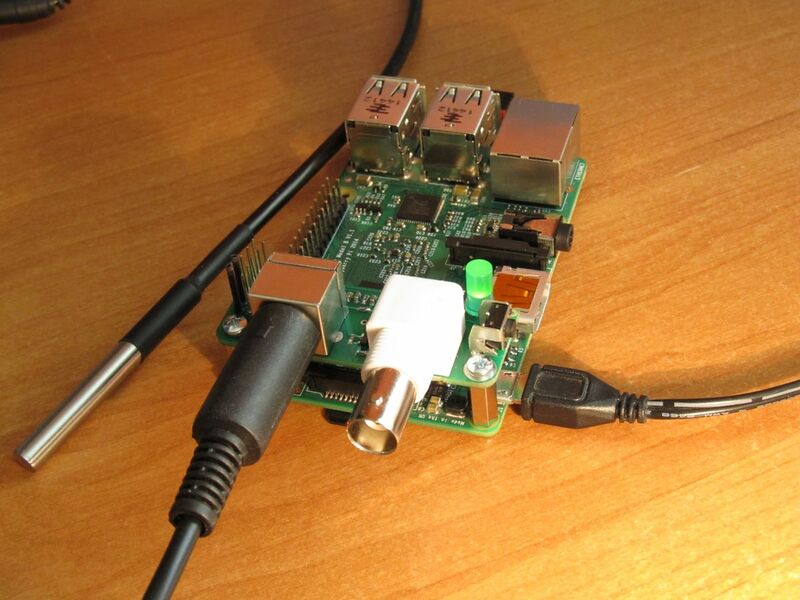 Always switch off the minicomputer power supply in advance. This is a technical description of board revision 1.1. 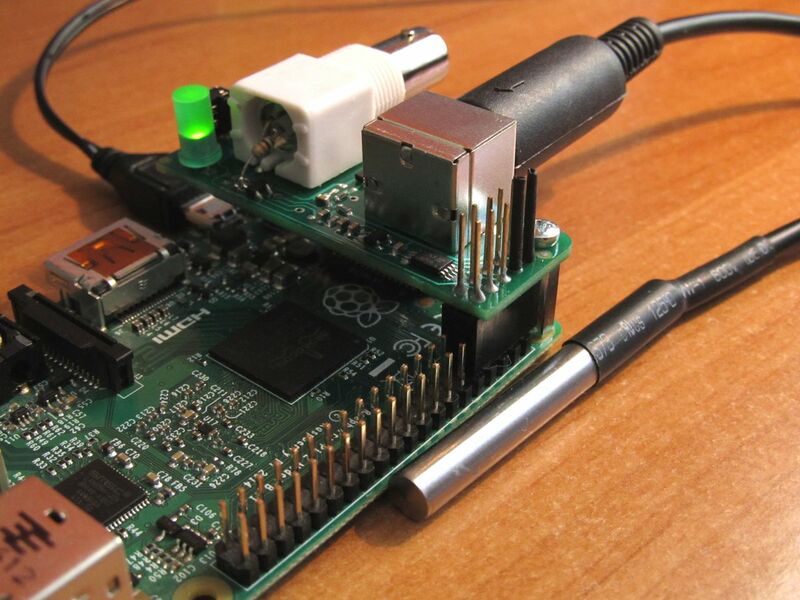 This header is stackable and provides a stacked board with direct access to the functionality of the RPi pins. So pins #1 and #4, although not connected to the HomeLab-pH board, can still be used to power the stacked one with 3.3V and 5V respectively. CAUTIONAlthough the HomeLab-pH board is powered with 5 V, pins #3, #5, #7 and #10 are powered internally by 3.3 V. They are NOT 5V-tollerant.